[ ? ] 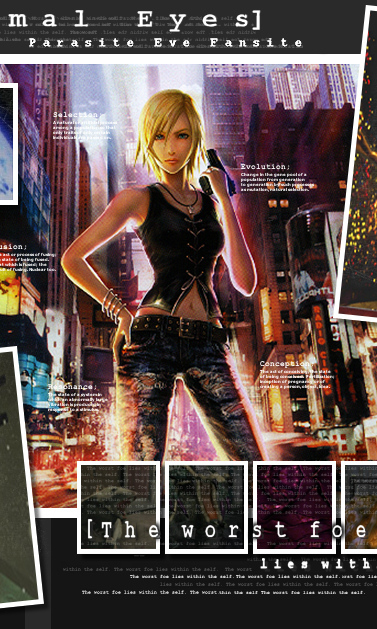 Who wrote the novel “Parasite Eve”? >> Hideaki Sena is the author Parasite Eve. He wrote the book while he was still a university graduate and has since gone on to write several other highly acclaimed novels. >> In very direct terms, Parasite Eve is about mitochondria and how they use a woman and her husband (a scientist) to force their own evolution. This is told on three fronts. On one front is man who is completely caught up in the grief and loss of his true love, that he is fooled into culturing these rogue mitochondria. Then on the other side, through many flashbacks it delves into the life of his wife (and her mitochondria). The third story line is about a young girl, a donor recipient, and how she too is embroiled in the sentient mitochondrial plan. [ ? ] 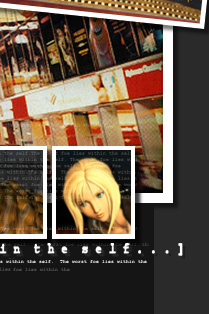 Why the title ‘Parasite Eve’? >> Well I’m not the author, nor do I have any affiliation with him, so I can only stipulate and guess. The most obvious reason that comes to mind is that in the story the new ‘Mitochondria Eve’ ultimately turns out to be a psychopathic parasite. It could have also received its title due to the nature of its theoretical origins. One guess is as good as another. [ ? ] Where is it set? >> Parasite Eve is set in Japan. Presumably this would be chronologically placed somewhere in the around 1995 while part of the book is set in September. [ ? ] When was it written? >> It was written and first published in 1995 whereby the only way to understand what the story was about was to know or learn Japanese. 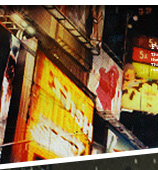 Ten years later Vertical Inc. would then obtain the rights to publish an English version. The first American edition finally made its way on shelves in 2005. In between this period, there have also been a handful of other editions published, each translated into a range of other languages. [ ? ] Where can I buy it? >> Vertical Inc. would be your best bet. They spent their hard earned money on translation fees and such. Might as well give back to the source! Then there’s Amazon and E-bay. It’s a rare but not impossible book to find. [ ? ] Is it like the games? >> It's different on many levels. The games are in essence, Square-Enix’s ‘sequel’ to the book, thus baring little to no resemblance where the plot/characters are concerned. It does however, feature mitochondria trying to overtake humanity on the food chain, doing so by killing even more innocent people. [ ? ] Is it like the movie or the manga series? >> As both were based on the book, there are a lot of similarities. The same characters (albeit slightly less fleshed out) as well as the same general plot. For the most part they both follow the storyline but seem to branch out in different ways. Sena Hideaki has also stated he believes the Manga more than the book stays true to the novel. [ ? ] What are the differences between the novel and film? >> As similar as the movie and the novel are there are many differences. Some of those can be found listed here. [ ? ] Will there be another book? >> That’s doubtful, unless Hideaki Sena is so inclined to take time off from his busy schedule to find time to fit in all the research and character development he's famous for. The books fans would love for it to happen but it is unlikely. I will update this if there is any change. [ ? ] Who are the main characters? [ ? ] Is this all based on real science? >> Real pseudoscience maybe! While based on theories and some science, many documents of which are listed in a two paged bibliography at the tail end of the novel, it’s not an official conclusion of science... At least that modern standards would be happy with; sorry folks. [ ? ] What happens at the end? Mitochondrial Eve doesn’t win. Her plan comes to fruition and she forces Mariko to bear her child but there is one factor she never considers; the fathers ‘selfish gene’. This means the baby is genetically unstable. It dies. Humanity rains supreme… until NEXT TIME!